Since moving to California, I shamefully admit I do miss the seasons, especially during Fall when my home in Cape Breton, Nova Scotia, Canada is synonymous with the changing of the leaves and winter becomes a magical paradise filled with holiday cheer, skating, fluffy snowflakes, decorations and huge Christmas trees, caroling and singing, and warm apple cider or hot chocolate by the fire place. What I don’t miss is the extreme cold weather, the frigid, damp winds that chill to the bone, and shoveling massive amounts of snow only to drive on treacherous roads. 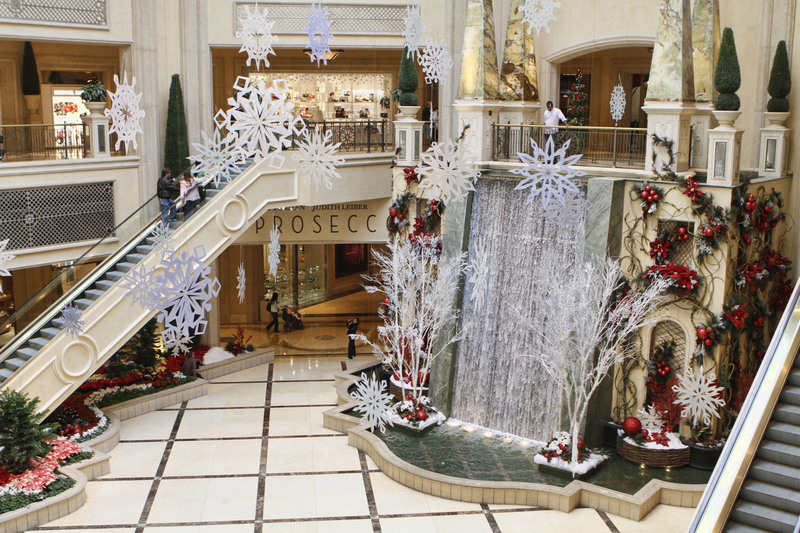 The Venetian and The Palazzo Las Vegas just introduced Winter in Venice. With 49 days, Nov. 21 – Jan. 8, of holiday festivities, Winter in Venice will be the ultimate vacation for an unforgettable holiday experience and it will be taking place during my Las Vegas trip in November. With all the perks of winter and none of the disadvantages, I will celebrate the winter season on the Las Vegas Strip with The Venetian and The Palazzo. 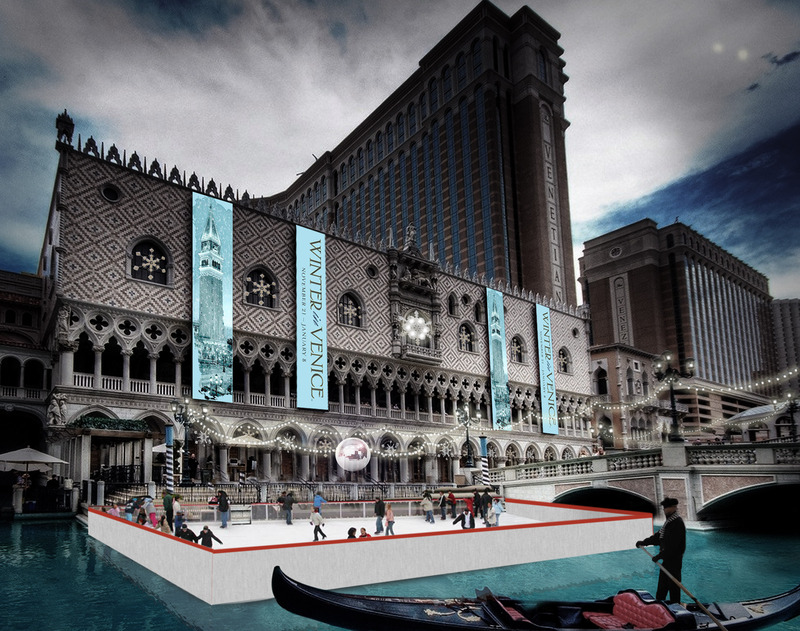 The whimsical festivities will include an enchanting ice skating rink above The Venetian’s picturesque outdoor Grand Canal. Surrounded by snowflakes, strung overhead holiday lights, and an awe-inspiring 65-foot LED holiday tree, my husband and I will take in the holiday magic that fills my heart with joy. Creating a winter mood requires the stimulation of all of the senses; sights and activities only will not suffice. Strolling carolers and gondoliers singing holiday classics will set the mood and add to the winter décor; the skating rink, the holiday and light show, and the cider, eggnog and hot chocolate will delight the senses and complete the scene. For $249 a night, we will enjoy a luxurious suite on The The Palazzo’s exclusive Prestige floor, seasonal holiday lounge offerings, personal concierge service, an Elf Tuck-in with traditional milk and cookie delivery (I’m pregnant; I’m allowed to request the milk and cookies;), one specialized Winter in Venice bath drawn by a bath butler, two complimentary 30-minute ice skating sessions (including ice skate rental), and two seasonal Winter in Venice hot chocolates at The Venetian’s Café Presse among other festive amenities. We’ll also be treated to the non-gaming lounge with nightly showings of favorite holiday classics. The winter holidays were always a special time of year for me. I loved the magic of it all; I loved the family connections and the sense of wonder; and I loved the warmth in my heart when surrounded by the magic of the holiday season. Winter in Venice can bring me back to my childhood as The Venetian and The Palazzo magically transform into the most majestic winter wonderland Las Vegas has ever seen. Vegas is no longer only a place for sinful adults who stumble the strip. Through Winter in Venice, maybe we can create our own winter tradition for years to come. This entry was posted in all-inclusive, Food, Getaways, Las Vegas, Nevada, Photo, Photography, Travel, Uncategorized, USA, vacation and tagged adventure, bucket list, Children, Family, Getaways, Las Vegas, Nevada, photo, photography, travel, USA, vacation by lesleycarter. Bookmark the permalink. That sounds like a fabulous getaway to me. What is most impressive to me is the family aspect of the celebration. It seems like a great way to bring your family to a winter wonderland without worrying about weather or bad roads. I am so jealous. I studied in Venice for a semester and unfortunately, Venice in winter has an added disadvantage — aqua alta. This is such a brilliant idea. I really hope that you have a fabulous time! Thank you for the thoughtful words. I’m sure it will be a beautiful vacation. Are you from the EU? Studying in Venice must have been an amazing experience. What type of school were you attending? Your blog is wonderful! Opening the whole world! Thanks! Although I’ve already been to Vegas, I certainly didn’t experience it like this. I’m anxiously awaiting my vacation. It’s bringing eastern Canada to my door step! I can’t wait to experience the magical transformation! I love Vegas – it’s so incredibly preposterous it becomes wonderful, and this take on the holiday is no exception! It sounds like a blast. I’ve been yearning to return and was evening dreaming of making it this winter – knowing about this could very well make it happen. Thanks for sharing, and have so much fun. I look forward to reading about your experience. Although I’ve been to Vegas a couple of times, I think this trip will be the best yet! I’ve been missing home and even the weather a little bit. Taking in the fresh Fall smells and wrapping up in a warm blanket with my husband were everyday events in eastern Canada. I look forward to a long weekend of snow, skating, and wrapping up together again. I hope you make it back to Vegas, especially for Winter in Venice. Hope you can travel more and more.. I may need to take a visit to escape the winter that awaits me in NY! Great photos and post! I guess congratulations are in order. I wish you all the best in your next months and for your upcoming motherhood. I can’t comment on every entry you have or I’d be here all day, but I wanted to also ask you about the photo in this entry. Did you take it? And if so, did you use HDR layering? Just curious. 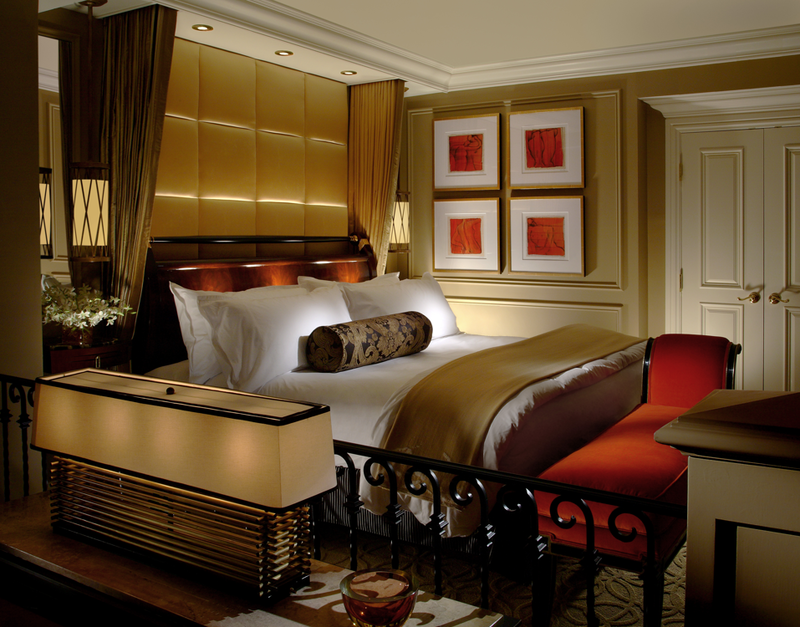 Mike and I love staying at The Venetian and The Palazzo. LOVE IT. Now, we’ve never gone in Winter, so this is new info for us. Thanks!! Thanks so much for the “like”! I’m new to this whole blogging thing and hope I catch on quickly because I’m about to embark on the most amazing adventure of my life! Please share tips/advice if you have any and I will keep reading about your beautiful journey. Venice is on top of “Have to visit” list!! This post makes want to go there even more!! Italia is filled with wonders! Sounds like an amazing stay! Lesley, if you haven’t been to Red Rocks Canyon just outside of Vegas you will LOVE it. We have gone there to go rock climbing several times and it’s stunning. The hiking is spectacular too! I’ll be taking a break from shovelling the New England snow for a week in December in Vegas and will definitely check this out! I agree – all the goodness without the ice and cold;-). Love your blog, btw! Thanks! It’s warm here in Thailand, but we’re lacking in fun museums to visit! I pray that it should snow in Las Vegas to fullfill a pregnant lady’s dream 🙂 Enjoy!!!!!!!!!!! This looks wonderful! I have yet to travel outside of the US, but, hey, I’m in college, so now is the time! I’m looking to go to Venezuela this summer to teach English as a way to share the gospel of Christ. It would give me a chance to practice what I’m doing in my education classes too! Thanks for reading my “To Share A Name With The Dead”! I’m glad you liked it and I hope you keep reading. I look forward to checking our your posts too. I went there too when i was in Vegas 🙂 it’s incredible how much they make it all look just as if you were in Venice, very nice! It sounds amazing! I enjoy winter every year, but that context sounds wondrous! Thanks for stopping by my blog! Looks and sounds beautiful! Thanks Lesley for sharing and visiting my blog! Hope you and the family had a wonderful Thanksgiving! Thanks again Lesley for the “like” on my Photography Unposed posting! Love the post. Makes me wish I could go!! Hello Lesley, welcome to California. I live here too. you’re quite the traveler. I cant wait to explore your blog! I was born in Venice, the real one, and once I even went to Las Vegas, …..It was really funny to look out from the Palazzo Ducale with the cars passing under the Rialto Bridge!